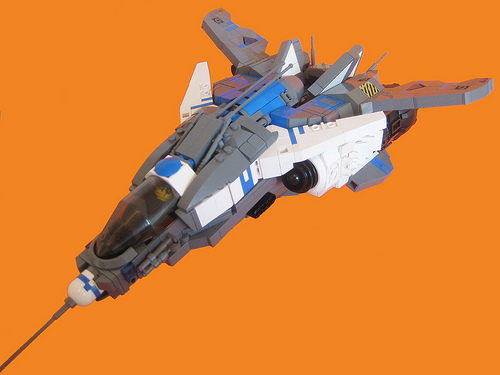 The angles on this fighter by Phall Master are stunning, complemented by an unusual orange background. The wheel well around the front of the cockpit is a nice detail. Nice lines on this, a great build. Well played!